The trip was more than what I expected. 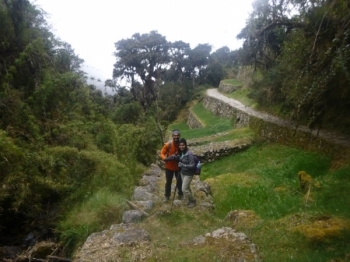 We have a very good support by email before the trail, they always answer all of questions about Peru and the trail. 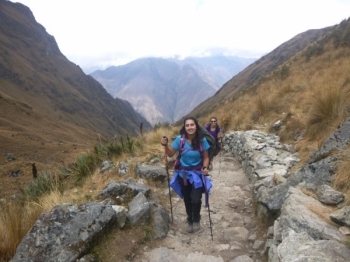 The service offered by the Inca Trail Reservations was awesome from the beginning to the end. 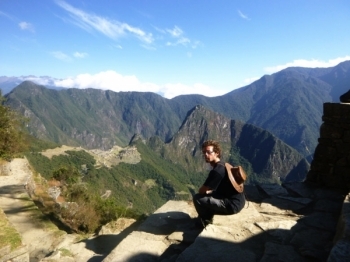 This is the first time I travel in Peru and Machupicchu. It is amazing trip for me. 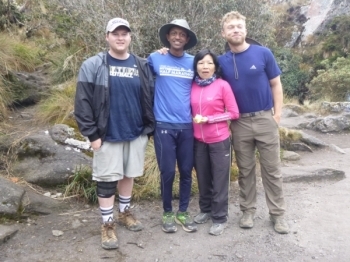 Because I am a history teacher, I really intrested in Inca history, and the inca trail is full of inca places and the guide told us a lot of stories about the inca. I really thankful the guide we've med this time. 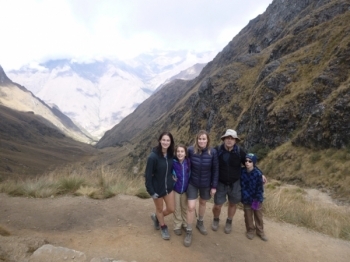 This is the journey of adventure.The first time I've been here and Peru as well. Very amazing! 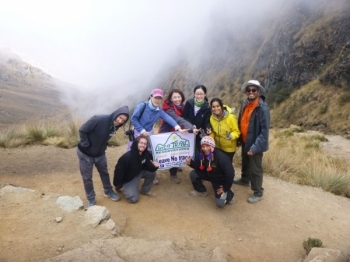 During the 4 days, we met a few new friends from different countries and walked around 12 km everyday. 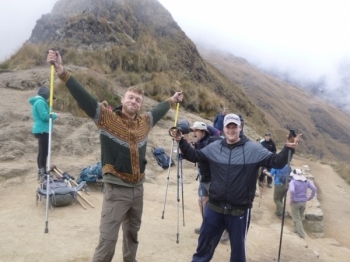 We always wanted to visit Machupichu and heard about the awesome Inca trail and waited for an year to take that. All in all an excellent time. The guide was inteligent, funny, and very tough, a bit like Quint from Jaws. Throughout my trek on the trail, i was making a movie with my iphone. The plot was based on my being cursed by the incan sun god because i brought a moonstone to the sun temple. Great trip, new key organised. One day weather was bad other than that every thing went as planned. Food was great, chef baked me a cake also for my birthday. Henry ,Edson and Jimmy are awesome tour guides . 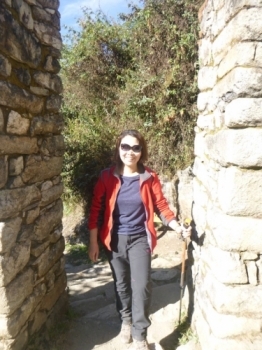 they are more like very knowledgeable friends than tour guides . 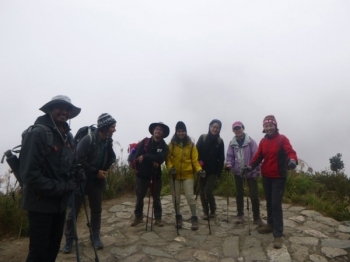 Amazing pople , great great guide , excellent service , incredibly view and an extremely organized . 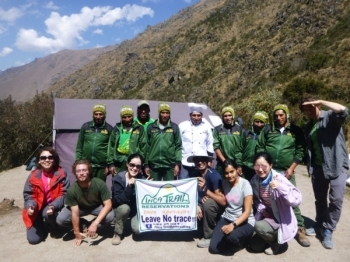 The food was awesome , the guides was fantastic . 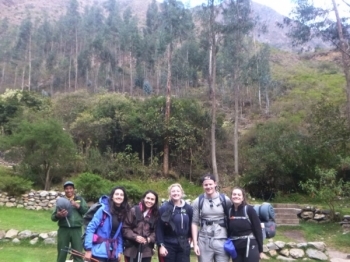 The landscape is unbelivably beautiful, the food was good , it was well organized by company Inca Trail Reservations . Absolutely incredible . Hike half dome , hake in the Grand Canyon and this topped them both. 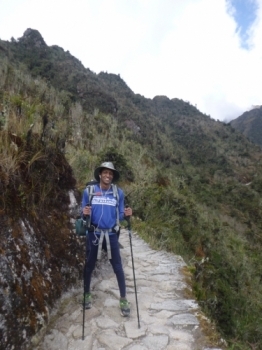 The trek was amazing .Henry and the crew made the trip extremely fun and intersting . everythings was perfect . 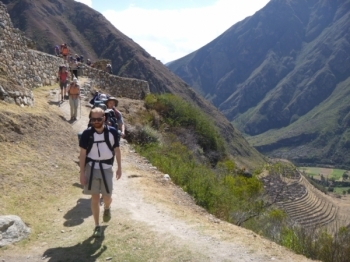 The for day trek to MachuPicchu was a long and difficult hike. It challenged me beyond my confort zone and made me face my fears , which changed me inside . 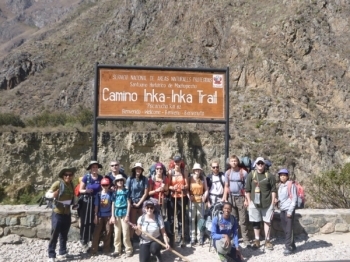 I was initially nervous and not sure what to expect, but i felt a bit more comfortable after orientation on the day before our trek .